In this section, you’ll find free games that you can play on animalfunfacts.net! Test yourself! Here, you’ll find 10 free tests like “What Kind of Dog Would Suit Me?” and “Which Cat Would Suit Me?” or "Which Small Animal Would Suit Me?" Answer the questions to find out! When you found the right pet, you can learn about it in our pet section and/or search for a cute name in the pet names section. Coloring is so much fun! 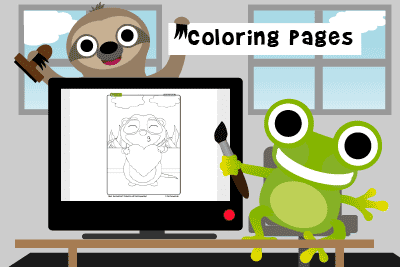 You can find 90 free coloring pages online with funny animalfunfacts.net comic characters to color in. 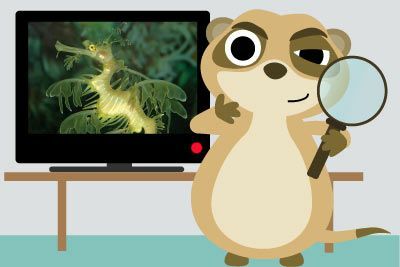 There are popular subjects such as meerkats, sloths, cats and squirrels are there. What about coloring with together with some friends? Or create a coloring booklet? Animals are super faszinating and they do a lot better than us in so many discplines! 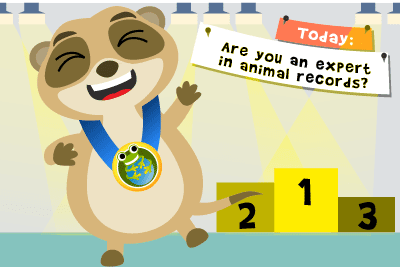 Here, you’ll test your knowledge of records and unusual achievements in the animal kingdom. We bet you will be suprised by some of the solutions! Or do you know them already? Test yourself! 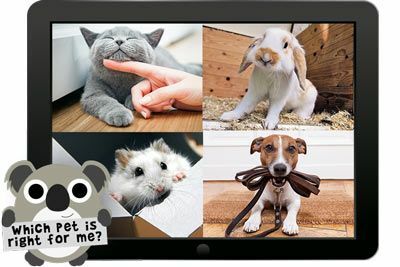 In the picture quizzes, you’ll match up eyes, paws or noses with the right animals. There are always four options to choose from. Three of them are not correct. It is only one that matches the question. Let's check out if you can master them all! 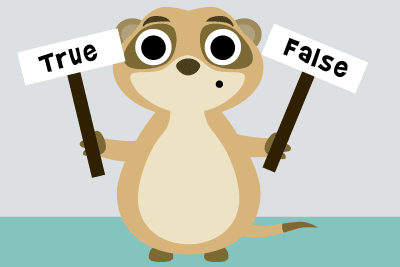 You’ll need some skill here: are the statements in this quiz true or false?